I have a tie between two Sale-a-Bration items as my favorite. 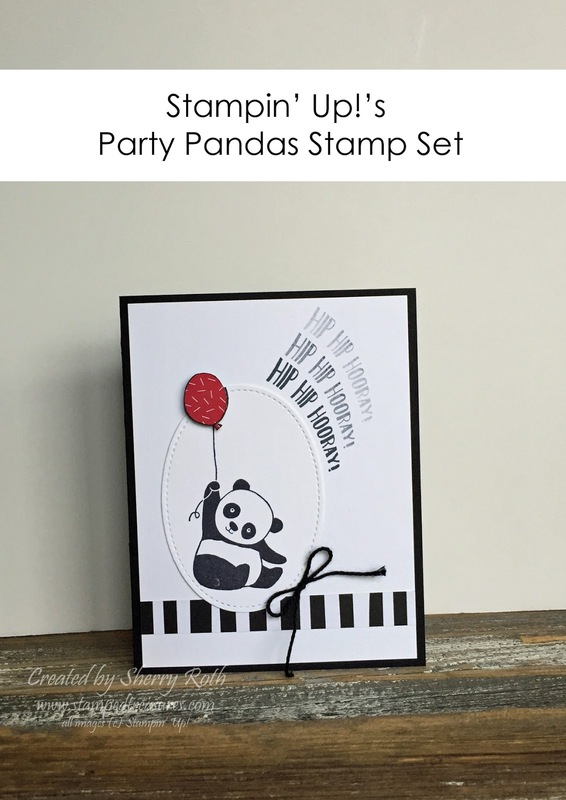 The SAB listings this year are fabulous but this Party Pandas stamp set is seriously ADORABLE. This is one of the projects we made at the demonstrator preorder party last week. 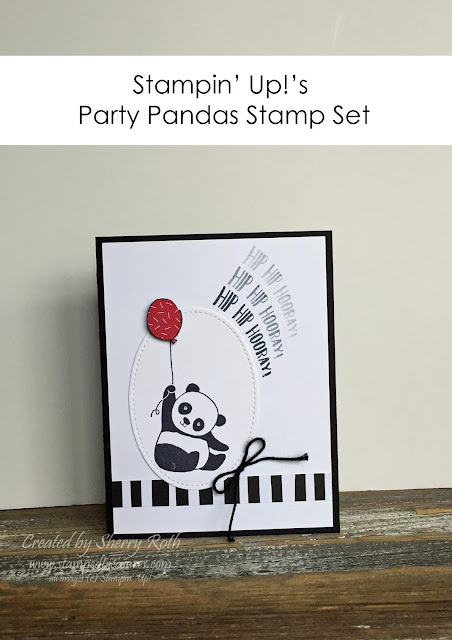 I love the black and white with just that pop of red! So fun! I'll share my other favorite item with you on Friday, so be sure to come back and check it out! 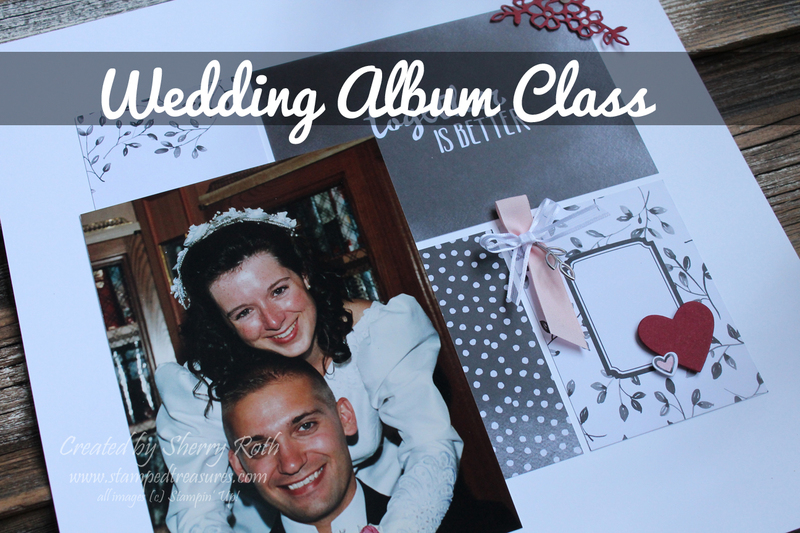 Before I say goodbye for today, I just wanted to remind you that today is the last day to register for the wedding album class. You can find all the details here.